Referencing is a system used in the academic community to highlight where certain ideas and information, theories, quotes, and any other evidence and information used to undertake the assignment has come from and can be found. Referencing your work ensures that you credit the sources of your work. Referencing also demonstrates that you have undertaken wide ranging research. Referencing also provide the reader with the source of your materials to consult for themselves. All the information that you have used will need to be acknowledged and referenced. It is therefore essential that you make a note of the sources you are using as you go along. BRITISH STANDARDS INSTITUTE. (2010). BS ISO 690:2010. Information and documentation -Guidelines for bibliographic references and citations to information resources. Switzerland: ISO Copyright Office. NEVILLE, C. (2010) The Complete Guide to Referencing and Avoiding Plagiarism. 2nd Ed.Maidenhead: Open University Press. Citations in the text of your assignment should be made following the in-text guidelines highlighted below. A complete list of all the citations used in your text will need to be provided at the end of your assignment. This is called your reference list or bibliography and needs to be presented in alphabetical author/originator order. Harvard is not prescriptive about capitalisation of authors’ names in your reference list. If you do wish to use capitals, then the family/surname of authors are only capitalised in this reference list and not in the body of your work. If you prefer not to use capitals in this list, that is fine, but you must be consistent in the style you decide to use. Only the title of the source of information is italicised or underlined, but you should choose only one method throughout your assignment and stick to it. Do not use both italics and underlining. Harvard has no one true style of punctuation so the generally accepted rule (BS ISO 690:2010) is to be consistent with your style of punctuation throughout the whole of your assignment. Here are some examples of how to reference commonly used materials. FAMILY/SURNAME, Initials. (Publication year in brackets) Book title – italicised or underlined. Series title and volume if applicable. Edition – if not the first. Place of publication: publisher. It is discretionary as to whether you list all authors and also whether you use ‘et al.’ or ‘and others’ as below: FAMILY/SURNAME, Initials et al. or and others. (Publication year in brackets) Book title – italicised or underlined. Series title and volume if applicable. Edition – if not the first. Place of publication: Publisher. FAMILY/SURNAME, Initials. (ed.) or (eds.) – in brackets for editor(s). (Publication year in brackets) Book title – italicised or underlined. Series title and volume if applicable. Edition – if not the first. Place of publication: Publisher. FAMILY/SURNAME, Initials of the author writing the chapter. (Publication year in brackets) Title of chapter. In: FAMILY/SURNAME, Initials of author or editor of book (ed.) or (eds.). Book title – italicised or underlined. Series title and volume if applicable. Edition – if not the first. Place of publication: Publisher. Includes publications by Government departments, Committees: COUNTRY. NAME OF ISSUING BODY. (Year of publication in brackets) Title of publication – in italics or underlined. Place of publication: Publisher. (Report Number – if applicable in brackets). FAMILY/SURNAME, Initials. (Publication year in brackets) Book title – italicised or underlined. [Online] Series title and volume if applicable. Edition – if not the first. Place of publication: Publisher. Available from – URL. [Accessed: date]. Title – in italics or underlined. (Year of distribution in brackets) Material type. Directed by – name of director(s). [Format of source in square brackets] Place of distribution: Distribution company. If you are referencing a journal from an online database service which is password accessible only i.e. EBSCO you can shorten the URL to the home page of the database service. If you are accessing a journal article directly and for free from the internet, you will need the entire URL. Author(s) of article’s FAMILY/SURNAME, Initials. (Publication year in brackets) Title of article. Title of journal – italicised or underlined. [Online in square brackets] Name of Database the article is from if appropriate. Volume number (Part number/month in brackets). p. followed by the page numbers of the article. Available from: URL. [Accessed: followed by the date viewed in square brackets]. Author(s) of article’s FAMILY/SURNAME, Initials. (Publication year in brackets) Title of article. Title of journal – italicised or underlined. Volume number (Part number/month in brackets). p. followed by the page numbers of the article. Author(s) of article’s FAMILY/SURNAME, Initials. (Publication year in brackets) Title of article. Title of Newspaper – italicised or underlined. [Online in square brackets] Name of Database article is from if appropriate. Day and month of the article. Page number of the article if applicable. Available from: URL. [Accessed: followed by the date viewed in square brackets]. Author of website FAMILY/SURNAME, Initials or WEBSITE name if no author is available. 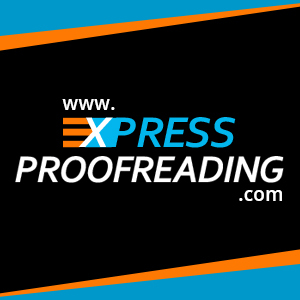 (Year – in brackets) Title of website in italics or underlined. Any numbers if necessary or available if website is part of a series. [Online in square brackets] Available from: URL. [Accessed: followed by date in square brackets].